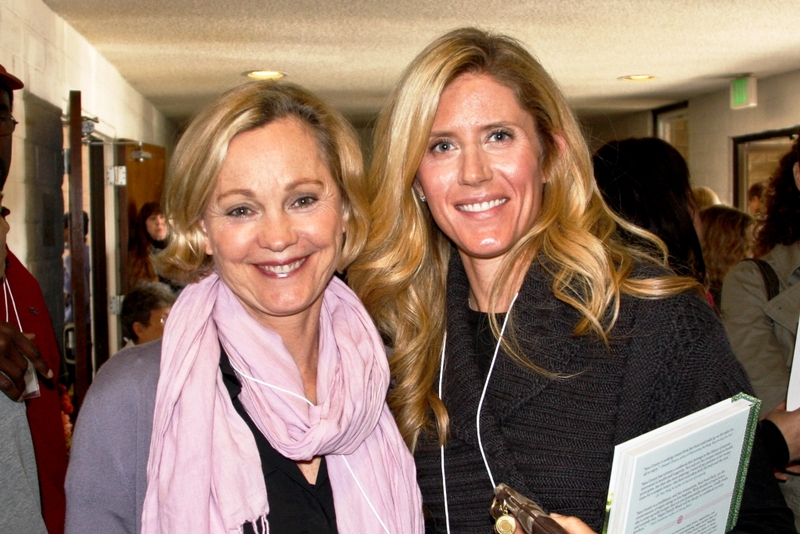 I attended the 2nd annual Healthy Taste of LA for the first time last month and was very impressed! 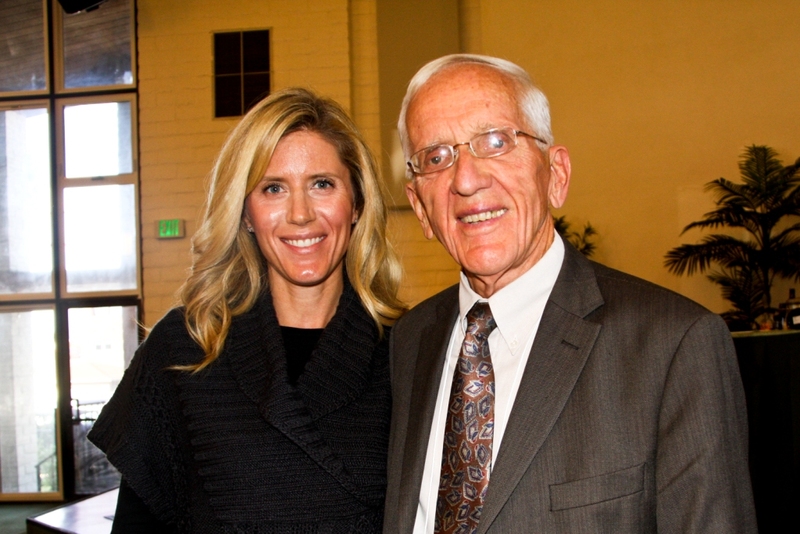 The keynote speaker at this year’s event was T. Colin Campbell. Being the nutrition geek that I am, I will forever be indebted to T. Colin Campbell for the work he has done in the field of nutrition and the discoveries he has made throughout his career pertaining to nutrition and its role in cancer and other diseases of affluence. It was great to have a few minutes to chat with him about nutrition in general and the plans he has with regards to evolving the Plant-Based Nutrition Certification courses at Cornell. It was a packed day of amazing healthy cooking demonstrations (NO OIL, SUGAR, OR SALT) by Chef Ramses Bravo of True North, Chef Eric Tucker of Millenium, a live taping of The Chef and The Dietitian, a motivation speech by fitness guru John Pierre (Ellen’s Personal Trainer), more cooking demonstrations by Ann Gentry (pictured with me above) who is the founder of Real Food Daily, Chef Eric LeChasseur of Seed Bistro, and Lindsay Nixon the author of the Happy Herbivore. Fortunately for us we also had three breaks throughout the day where we were given the opportunity to sample all of the wonderful food that the Chefs demonstrated making. Another exciting aspect of the day was the fact that the event organizers were short one staff photographer and asked me to fill in which basically gave me an all-access pass to move around and take pictures to my heart’s content! The first recipe that was demonstrated at the event was Chef Ramses Bravo’s Coconut Vanilla Granola, which is the Granola that they serve at the True North Health Center. After the event I went home and made the granola and was really impressed with the result. I had never made granola without oil before and love that I now know how. Click HERE for the recipe. 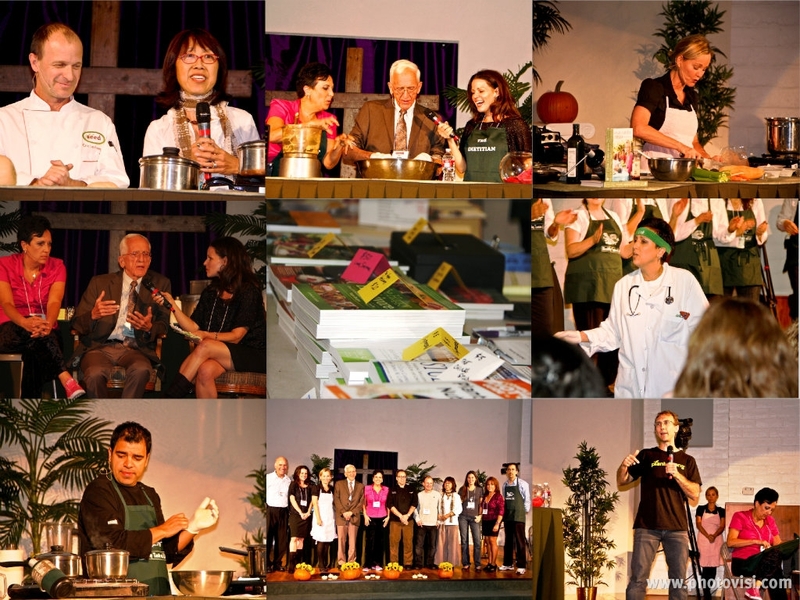 At the end of the event Chef AJ announced that the keynote speaker at next year’s Healthy Taste of LA 3 will be Dr. Caldwell B. Esselstyn, the man who has figured out the formula to be heart attack proof (Did you all see Dr. Sanjay Gupta’s CNN special by the same name highlighting Dr. Esselstyn?)!!! I definitely plan on being there at the event next year (November 4, 2012). I HIGHLY recommend purchasing your tickets in advance. This year they had to turn people away from the event because the interest was so high. Do yourself a favor and purchase your tickets ahead of time. 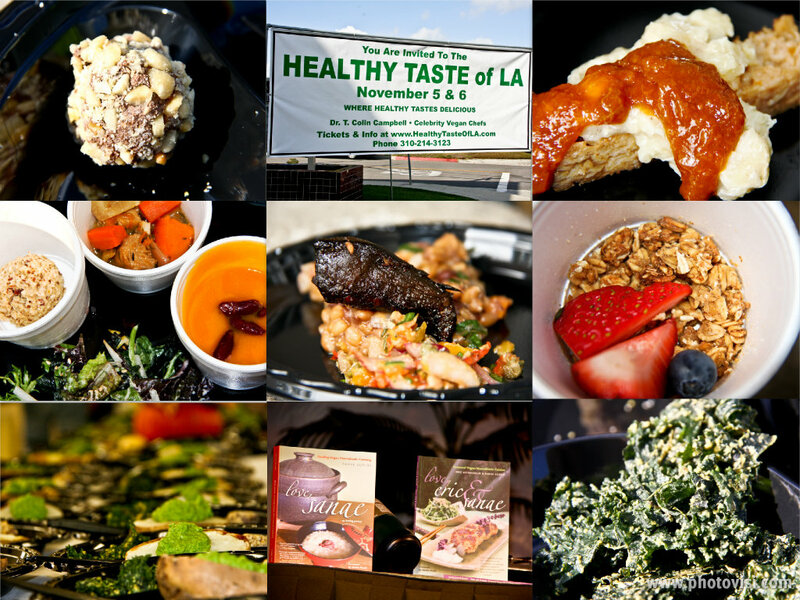 For more information about 2012’s Healthy Taste of LA3 and to purchase tickets click here. Chef AJ has organized and amazing event that will take place next Sunday, November 6th from 9 – 5 at the South Bay Redondo Seventh Day Adventist Church. I highly recommend this event…Just look at the list of celebrity chefs and experts that will be there…AMAZING!!! Interested in sampling delicious plant-based recipes from some of the best chefs in the world of Plant-based nutrition like Chefs Ramses Bravo, Eric Tucker, Ann Gentry, Eric Lechasseur, Lindsay Nixon and Chef AJ? How about listening to lectures from experts in the field like T. Colin Campbell and Julieanna Hever? Healthy Taste of LA II is Sunday, November 6th from 9 – 5 at the South Bay Redondo Seventh Day Adventist Church. It is an exciting weekend for being vegan and / or learning how to become vegan! 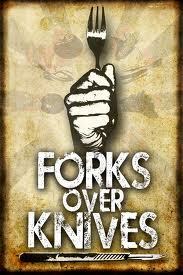 I am beyond excited that the documentary Forks Over Knives opens tomorrow!!! 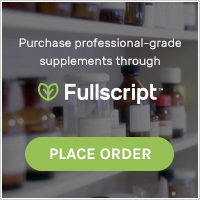 This documentary has received so much critical acclaim as it brings together two giants in the field of medicine who have spent their careers studying the effects of nutrition on health, Dr. T. Colin Campbell, Dr. Caldwell B. Esselstyn. FORKS OVER KNIVES examines the profound claim that most, if not all, of the so-called “diseases of affluence” that afflict us can be controlled, or even reversed, by rejecting our present menu of animal-based and processed foods. The major storyline in the film traces the personal journeys of a pair of pioneering yet under-appreciated researchers, Dr. T. Colin Campbell and Dr. Caldwell Esselstyn. JH: You went from commercial real estate straight into producing one of the most important documentaries of our time, Forks Over Knives, as your first film. What inspired you to take the leap? BW: The evidence that diseases like heart disease, diabetes, and sometimes cancer, can be effectively prevented, and even reversed, by a whole foods plant-based diet is compelling. For whatever reason, the information wasn’t getting to the masses, so only a few people were benefiting from it. I thought making a feature film was an opportunity to change that, and doing something that would have a positive impact on people’s lives was something I always wanted to do. JH: How do you feel about the outpouring of support and enthusiasm for the film? BW: The response has been beyond what I had imagined. It’s rewarding. I think people see the potential in the concepts brought forward in the film as a real way to make our lives better. JH: What are your ultimate goals for Forks Over Knives? BW: I hope that the level of education about food and its impact on health will increase, and that as a result, people will lead more healthful lives. It turns out that the same diet that is good for human health, is compassionate to animals and less taxing to the environment, so it’s important to see improvements in these areas as well. JH: Can you describe the message you are trying to relay by creating such a critical piece? BW: The message is that there is evidence that there’s something very specific we can do to greatly reduce our suffering from degenerative diseases. At a time when we’re trying to find solutions to difficult problems, it’s good to know that there may be one at hand—especially something that is simple. JH: What was it like working with a healthy handful of the most innovative, influential scientists of our generation? BW: Given my passion for the subject, there are no individuals I would have rather worked with than Dr. Campbell and Dr. Esselstyn. Getting to spend as much time with them as we did, and getting to know them personally, was an experience that is difficult to describe in words. JH: What was your biggest challenge in making the film? BW: The biggest challenge was figuring out how to take a vast amount of information along with a significant number of stories, and making into a presentation of less than 96 minutes. There’s a lot of material that didn’t make it in. We realized that the film represents more the beginning of a discussion. JH: Do you intend to continue making documentary films with a similar message? BW: Right now I’m focused on releasing the film, an undertaking that is quite substantial. I do, though, like the idea of making another documentary film. This film will change your life! Six years ago a small Texas publisher released an obscure book written by a father-son research team. The work, based on a series of studies conducted in rural China and Taiwan, challenged the conventional wisdom about health and nutrition by espousing the benefits of a plant-based diet. 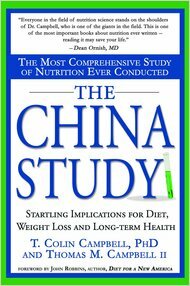 To everyone’s surprise, the book, called “The China Study,” has since sold 500,000 copies, making it one of the country’s best-selling nutrition titles. The book focuses on the knowledge gained from the China Study, a 20-year partnership of Cornell University, Oxford University and the Chinese Academy of Preventive Medicine that showed high consumption of animal-based foods is associated with more chronic disease, while those who ate primarily a plant-based diet were the healthiest. Last fall, former President Bill Clinton even cited the book in explaining how he lost 24 pounds by converting to a plant-based diet in hopes of improving his heart health. The president gave up dairy, switching to almond milk, and says he lives primarily on beans and other legumes, vegetables and fruit, although he will, on rare occasions, eat fish. 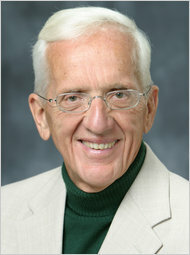 Recently, I spoke with T. Colin Campbell, a co-author of the book and professor emeritus at Cornell University, about the success of the book, the research behind it, and why he thinks the nation’s health woes can be solved by plant-based eating. Here’s our conversation. I have been in the field for a long time and had a major research program at Cornell. We published a lot of research over the years. My program had a good reputation. I’d finally gotten to a point where we’d discovered a lot of things that were very exciting, things that were provocative. Finally I sat down to write the book, to tell my story. What was so unusual about your story? In the beginning of my career I was teaching nutrition in a very classical sense. Nutrient by nutrient. That’s the way we did research, that’s the way I taught it. I came to believe, after doing the work we did in the Philippines and China, that there was a very different world of understanding nutrition. I ended up with a view now that is almost diametrically opposed to what I had when I started my career. I was raised on a dairy farm. I milked cows. I went away to graduate school at Cornell University, and I thought the good old American diet is the best there is. The more dairy, meat and eggs we consumed, the better. The early part of my career was focused on protein, protein, protein. It was supposed to solve the world’s ills. But when we started doing our research, we found that when we start consuming protein in excess of the amount we need, it elevates blood cholesterol and atherosclerosis and creates other problems. The problem is that we study one nutrient out of context. That’s the way we did research — one vitamin at a time, one mineral, one fat. It was always in a reductionist, narrowly focused way. But I learned that protein is not quite what we thought it was. We’ve distorted our diet seriously through the ages, and we have all the problems we have because of that distortion. What loomed large for me was that we shouldn’t be thinking in a linear way that A causes B. We should be thinking about how things work together. It’s a very complex biological system. The body is always trying to restore health every microsecond of our lives. How do we furnish the resources for the body to use? In order to try to understand that, we shouldn’t be giving ourselves individual nutrient supplements. We shouldn’t be trying to discover which gene causes what. But those two areas have become the major focus of research over the years. So how should we be eating? I don’t use the word “vegan” or “vegetarian.” I don’t like those words. People who chose to eat that way chose to because of ideological reasons. I don’t want to denigrate their reasons for doing so, but I want people to talk about plant-based nutrition and to think about these ideas in a very empirical scientific sense, and not with an ideological bent to it. The idea is that we should be consuming whole foods. We should not be relying on the idea that genes are determinants of our health. We should not be relying on the idea that nutrient supplementation is the way to get nutrition, because it’s not. I’m talking about whole, plant-based foods. The effect it produces is broad for treatment and prevention of a wide variety of ailments, from cancer to heart disease to diabetes. Do you advocate a 100 percent plant-based diet? We eat that way, meaning my family, our five grown children and five grandchildren. We all eat this way now. I say the closer we get to a plant-based diet the healthier we are going to be. It’s not because we have data to show that 100 percent plant-based eating is better than 95 percent. But if someone has been diagnosed with cancer or heart disease, it’s smart to go ahead and do the whole thing. If I start saying you can have a little of this, a little of that, it allows them to deviate off course. Our taste preferences change. We tend to choose the foods we become accustomed to, and in part because we become addicted to them, dietary fat in particular. If we go to a plant-based diet, at first it might be difficult, but it turns out after a month or two our taste preferences change and we discover new tastes and feel a lot better, and we don’t want to go back. It’s not a religion with me, it’s just that the closer we get to a 100 percent plant-based diet, the better off we’re going to be. Have you been surprised by the success of your book? I have been a little surprised. When I finished writing the book with my son, who had just finished medical school, I didn’t know how well it was going to do. We had an agent who shopped the manuscript around, and the publishers all wanted 60 to 70 percent of the pages to be recipes. I said, “That’s not my shtick.” They wanted me to dumb it down. I went to a small publisher in Texas who let us do what we wanted to do. I didn’t want to proselytize and preach. I didn’t want to write a book that says, “This is the way it has to be.” It’s a chronology. Here’s how I learned it, and let the reader decide. I say, “If you don’t believe me, just try it.” They do, and they get results. And then they tell everybody else.